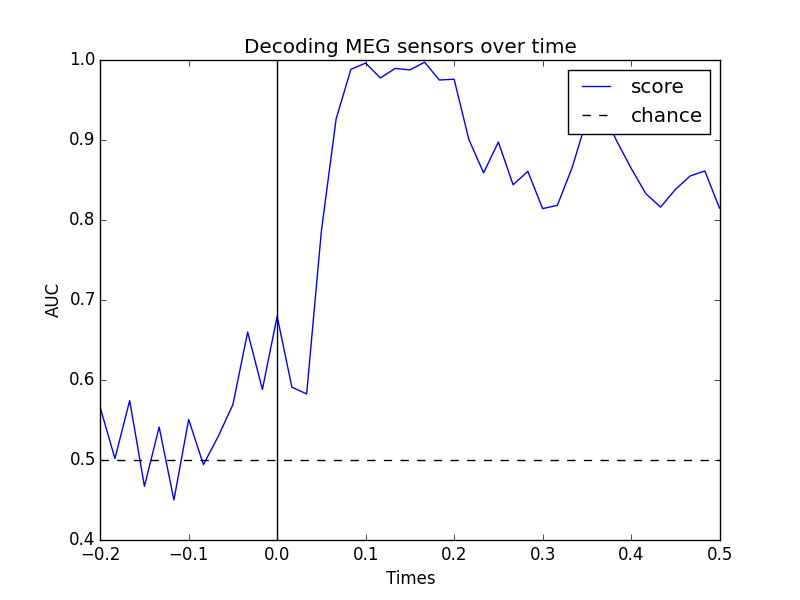 Decoding, a.k.a MVPA or supervised machine learning applied to MEG data in sensor space. Here the classifier is applied to every time point. # the examlpe to run faster. We’ll use a Logistic Regression for a binary classification as machine learning model. 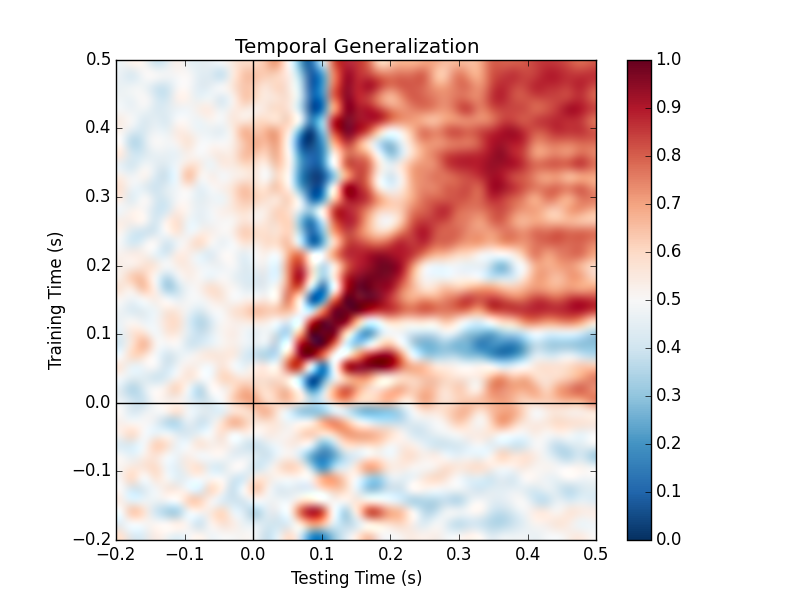 The idea is to fit the models on each time instant and see how it generalizes to any other time point. 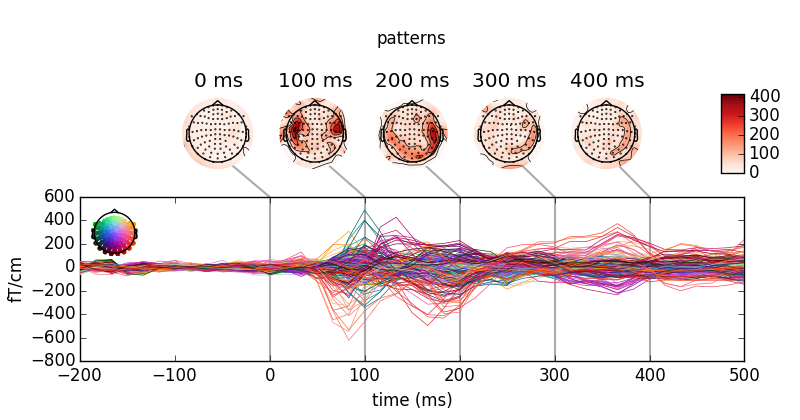 Can you improve the performance using full epochs and a common spatial pattern (CSP) used by most BCI systems?